For box office and ticket information, please call 925-931-4848. Box office hours are W-F Noon-6pm and Saturday 10am-4pm. The facility’s unique design effectively incorporates the old with the new. This approach consciously reflects guidelines set by the National Park Service for all adaptive reuses of historical buildings. Those guidelines call for the very clear visual demarcation between new construction and any preserved historic edifice. The facility also reflects its unique setting, featuring warm, vibrant colors on its west entrance “Firehouse” street side, and a “Parkside” entrance that features curvilinear wooden walls and cool accent colors, all in visual harmony with the adjoining Lions Wayside Park. 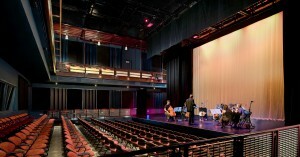 The Firehouse Arts Center offers an array of unique operational and maintenance features. “Green building” components include extensive use of recycled materials, solar panels which supply 15% of the building’s electricity needs, sculptural bicycle racks to promote alternative transportation, high efficiency climate controls. 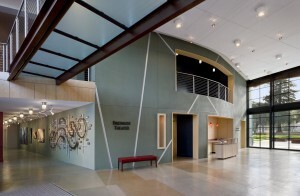 The Firehouse Theater features flexible seating in a below-grade tiered area for end-of-house proscenium type performances. That same area may be replaced with platforms to form a completely flat floor for a multitude of intimate seating configurations for thrust, arena, and cabaret staging. 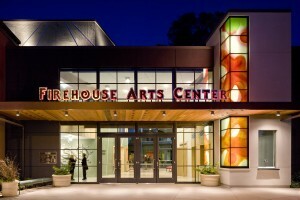 The Firehouse Arts Center is designed to promote participation in recreational experiences as they relate to the arts. Examples include a thriving youth theater program that offers classes, rehearsals, and performance opportunities for young people. These activities are taught, directed and produced by theater professionals. Theater performances, arts exhibits, classes of all kinds, all develop skills and provide memorable experiences that last lifetimes. 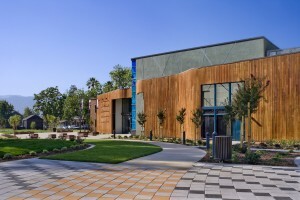 The Firehouse Arts Center, a beautiful work of art in and of itself, located in the heart of Pleasanton, serves as an inviting beacon, strengthening community image and sense of place. 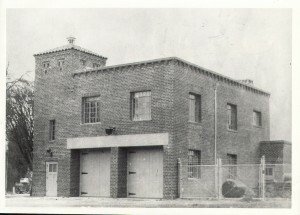 In 1888, a volunteer fire department was organized in the area now known as Pleasanton. This organization consisted of three fire companies with a total of twenty men. The equipment was comprised of two hose carts (Protection Hose Company #1 and Alisal Hose Company #2) and Hook and Ladder Company #1 which carried twenty leather fire buckets. More than 100 years later, the Livermore-Pleasanton Fire Department staff consists of 30 fire captains, 30 fire engineers, 30 firefighters/paramedics, 18 firefighters in line operations, 6 chief officers, 5 managers, 1 disaster preparedness coordinator, 4 fire prevention inspectors, 1 hazardous materials coordinator, 2 hazardous materials inspectors and 4 office support staff.